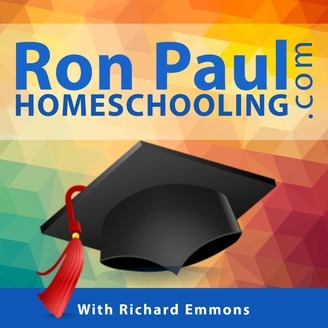 The Ron Paul Homeschooling Podcast helps parents avoid burnout with self-paced, self-taught video-based learning by subject experts such as Tom Woods, Gary North, Benjamin Richards, Bradley Fish, Daniel Dignan, and John Hamilton. Students avoid the frustration of being left behind or being bored by not getting challenging coursework. Parents and students can save money and time by earning college credit during high school. Listen to interviews of instructors and get your questioned answered. Courses include English, Mathematics, Science, History, Business and more for primary, middle school and high school students. 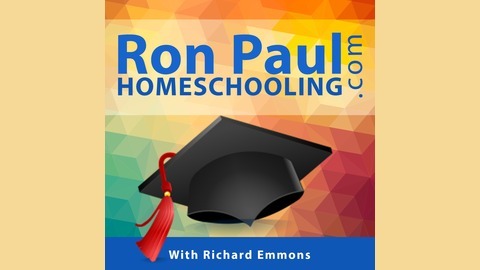 The Ron Paul Homeschooling podcast is hosted by Richard Emmons, who with his wife homeschooled their four daughters from K-12 over 19 years. Richard teaches the Business II course for the Ron Paul Curriculum. Western Literature II is taught by Dr. Gary North and focuses on Western literature from the Reformation to modern times. It is designed to be complementary to the course on the history of Western civilization, also from the Reformation to modern times. Listen in as Dr. North teaches students about theses 1 to 47 of Dr. Martin Luther's 95 Theses. To sample the first 5 lessons of this course go to www.RonPaulCourses.com.